Imagine a device which couples the portability of a smartphone with the customizability of a desktop PC. Imagine not having to buy a new phone every time you are dissatisfied with one aspect of your smartphone. Imagine more economical repair and maintenance costs. These aforementioned ideologies were blended together and the concept of modular smartphones came into existence. The term modular is associated with the term module and before we continue, it is absolutely imperative to know the exact meaning of these two terms. In layman terms, if a device is modular, it means that all its parts can be removed and replaced, including the core components. Thus, this definition paves the way for the classification of all gadgets into modular, semi-modular and non-modular. Now, modular technology is considered to be the best form of tech. This is simply because one can upgrade parts at any time without having to replace the device itself altogether. This feature can really be handy in the case of the rapidly evolving smartphone industry where the rate of technological obsolescence is quite high. One would easily be able to switch from a battery module of lower capacity to a battery module of a higher capacity, or even replace an old camera sensor with a new one. The possibilities are endless. Many companies have tried their hand in this segment but nothing much has been converted into viable products thus far. Phonebloks was the first modular smartphone concept to attract widespread attention. This concept envisioned that the phone would be made up of detachable blocks wherein all blocks would be connected to a base which would connect all these blocks. Taking inspiration from this concept, Google launched Project Ara in 2013. The difference here was that the core components would remain irreplaceable whereas the supplementary modules like the battery or the camera sensors would be replaceable. Unfortunately, Google shelved and then later on scrapped Project Ara in the first week of September, 2016. In June this year, Motorola Mobility came up with their Moto Z range of smartphones. Technically speaking, the phones of these series aren’t modular as they don’t allow the user to replace components. Rather, Moto Z phones allow you to add case like accessories called the ‘MotoMods’ via pogo pin connectors to provide added functionality. The concept of modular smartphones surely is exciting. For the general consumer, it will act as a cost saving option in the long run. For the geeks, it’s another form of advanced technology to play around with. There’s something for the environmental enthusiasts too, as the use of replaceable modules will help in the reduction of e-waste generation. 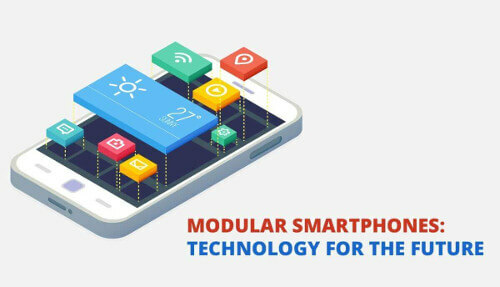 The range of modular or rather semi-modular smartphones and the associated concepts that we are seeing today are mostly a rough draft or phase one of what a perfect modular smartphone should be like. Things are thus bound to shape up more positively in the future. However, developing a future proof modular smartphone is obviously not a simple task. New scientific knowledge is thus needed to bridge the mechanical gap between the know-how of today and technology meant for the future.